In the middle of Oslo there's a parking space called Tullinløkka. 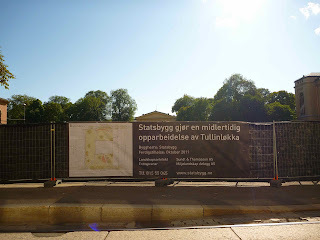 (An interesting and elaborate article about Tullinløkka, unfortunately in Norwegian, can be found here.) A former playground for children and other sports enthusiasts, bicycle riding ground, gatherings pace for demonstrations, the city council has been trying to get something built there for more than a hundred years, but to no success. 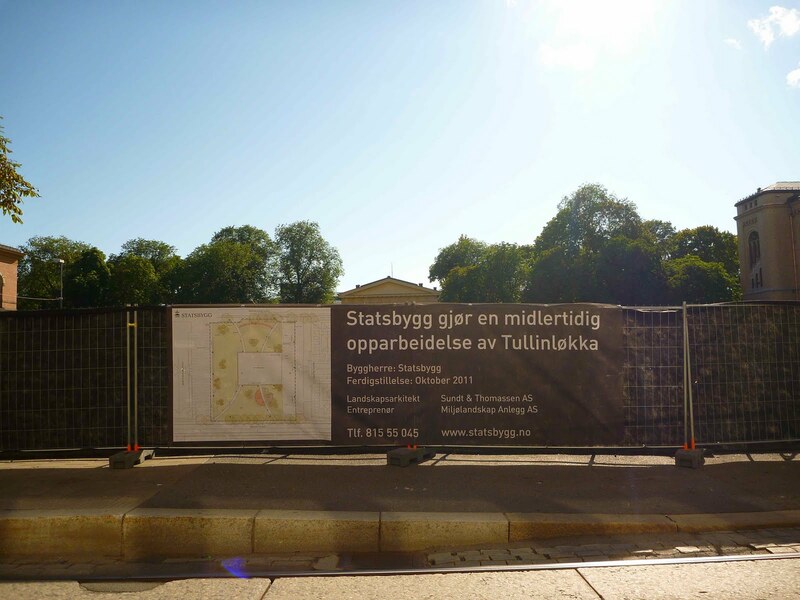 However, after what seems like a hundred competitions, suggesting among others museums with green spaces on their roofs, classicistic buildings with columns and multi-storey car parks, someone has suddenly made a decision to build a "temporary" park at Tullinløkka. There are also rumours that a 22nd July memorial will be placed in time. The picture shows small parts of the National Gallery to the left, the Historical Museum to the right and the main building of the University of Oslo in the middle. As of now, I'm following the building of the park from my living room window, and will probably be updating with more pictures after a while. PS. The temporary petrol station at Tullinløkka stayed there for 56 years.